← Vauxhall calls on BEN, Age Concern, British Legion and the Vauxhall Welfare Fund. A classic MG TC sportscar nicknamed ‘Mickey Mouse’ and dating from just after the Second World War sold for £24,600 at BCA Bridgwater on Wednesday, 12th November. 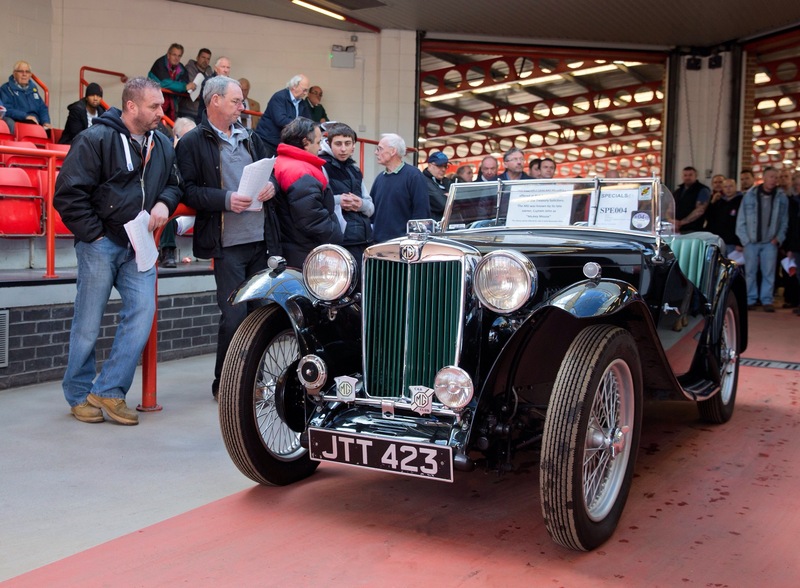 The 1946 MG TC 1344cc Convertible had been in the same family ownership since 1962 and was nicknamed ‘Mickey Mouse’ by its last owner, the late Captain John Huddlestone of the Merchant Navy. It sold following some very competitive bidding from the busy auction hall at BCA, with further interest from online bidders using BCA’s Live Online service. Finished in black with green trim and green leather interior, the MG TC retained many original fittings and had benefited from a sympathetic restoration in the mid-1980s. The original log book was present and other paperwork included bank statements showing the 1962 purchase cost of £265. The car was well known to the MG Car Club as Captain Huddlestone and his parents were members over the years and the car appears on the MG TC Register. This entry was posted in automotive and tagged BCA, chrismacgowan, christopher macgowan, MG TC, Mickey Mouse. Bookmark the permalink.